If you live in the state of California and have had some trouble paying off your debt, you may have considered filing for bankruptcy to help in ridding yourself of the stress of trying to pay for bills that you cannot pay in a timely manner. 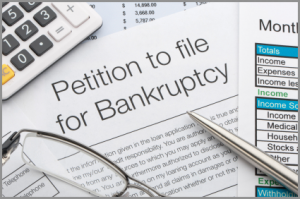 If you file for Chapter 7 bankruptcy, you will start off as if you never had any debt to begin with. The process will give you a brand new slate and you will be able to go about your business as usual. In Chapter 7 bankruptcy, you would have to return any items that are considered assets. These would be sold and the profit obtained would be used to pay off any debt that you have accumulated. Most people do not file for this type of bankruptcy if they own several assets. They do not want to risk losing these items. If you do not own many things, however, this may be the right plan for you. Bankruptcy is filed by people who have a lot of unsecured debts such as from credit cards, medical bills, personal loans and utility bills. Should you have things of value that you do not want to be incorporated into the selling procedure, you would need to be approved by filling out a form of reaffirmation. This would save assets such as furniture, cars or houses. You would only be able to file for bankruptcy every eight years if you reaffirm any of your belongings. You would need to be current on payments for these items in order to be able to file for reaffirmation. If you owe back payments on any of them, they would need to be paid to be able to keep the items. If you fail to make the payments, the items will be put up for sale to help pay off your debt. You have the option of reaffirming only a portion of the assets that you currently own. Picking and choosing which you would like to keep can be helpful in paying off your debt. You will want to have the assistance from a lawyer that specializes in bankruptcy cases. They will be able to guide you through the entire process from filing for bankruptcy to approving the sale of items that will be used to pay off debt. The forms that are to be filled out are rather difficult for the average person to understand and it is easy to make an error. A lawyer will understand the proper procedure that is needed in order to file. A lawyer will be on your side should you be receiving a lot of harassing phone calls from debt collectors. 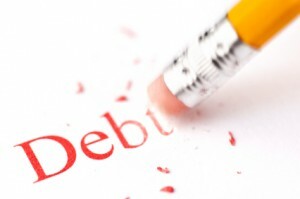 Once you have filed a Chapter 7 bankruptcy claim, all debt collections should go through your lawyer. You should stop receiving all phone calls as it is against the law to harass you if you have filed. Your lawyer will be able to guide you through the process of exemptions that are given by the state of California. This is different than other states in the United States, and it can be a little confusing. There are several items that can be considered exempt from being sold including household items, appliances, jewelry and tools. There are exemptions available depending on the income and ages of other family members living in your household. There are exemptions for vehicles and for the home itself. Your attorney will be know which things you can file for so that you will not lose your valuables when filing for this type of bankruptcy. These exemptions were created to protect people from losing their valuables if there are additional hardships in their life. For those people who are overburdened with debt, Chapter 7 bankruptcy may be a way to completely wipe out their obligation to pay the people they owe money to. However, the decision to actually start the process is a big one. Many are discouraged due to the stigma that they perceive comes along with filing for bankruptcy. Others who are in need of a fresh start do not take action simply because they do not know where to begin. 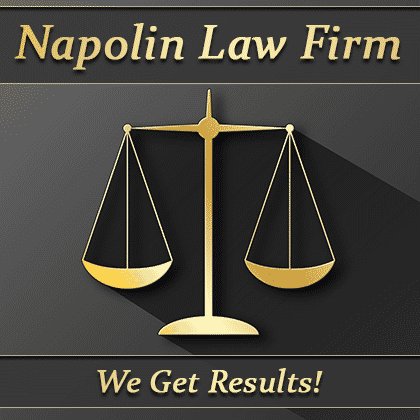 Here at Napolin Law, we are here to help those in need take that big step towards starting life anew on a clean slate. No one living whit overwhelming debt should be faced with the prospect of never being able to pay it back. That is why the United States provides those who need to restart their financial lives an avenue for doing so. It is not illegal or shameful. In fact, it is perfectly legal and is encouraged for those who are suffering from insurmountable debt to be relieved of it. If you, a family member or friend have any debt, foreclosure, credit card debt related legal issues, please contact our law offices. Call Now: (909) 325-6032 - We are available!